Today I've got another "I could make that" project to share. Read on to learn how to make your own Mini Boden look alike. 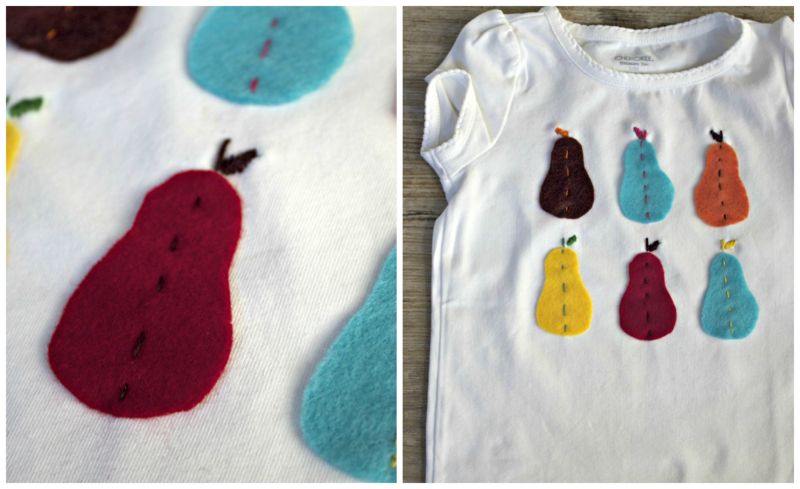 Draw or trace a pear shape onto freezer paper (or regular paper) to create a pattern piece. Cut as many pears are you like out of felt using your pattern piece. 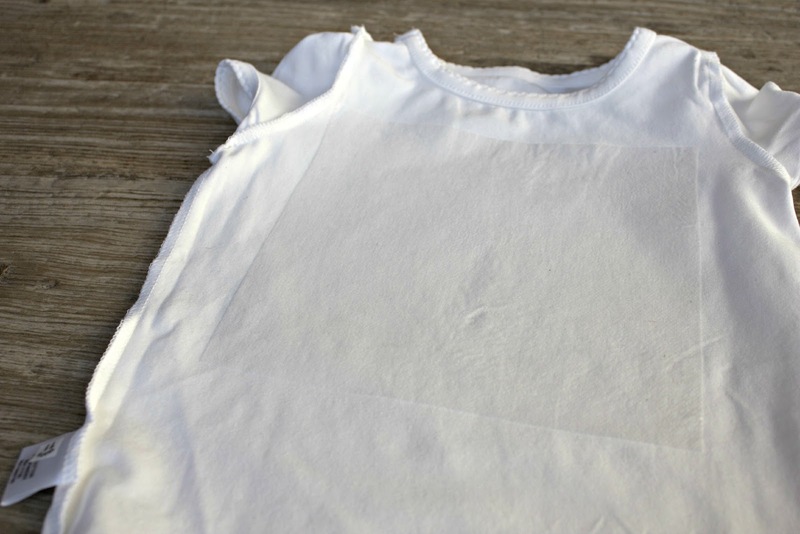 **If you use freezer paper you can iron it directly onto the felt. It will stick and make cutting easier. 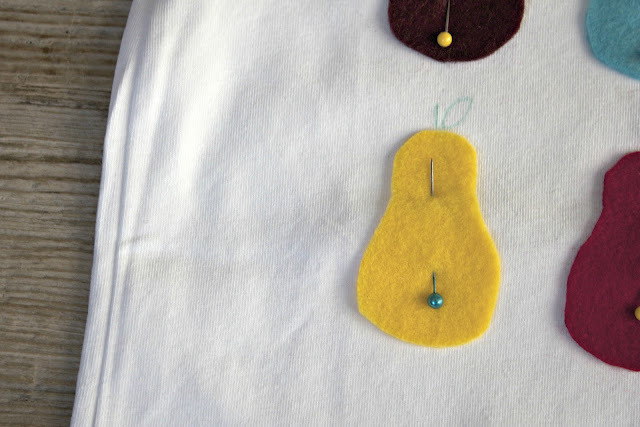 Place the pears wear you'd like them on the shirt, then cut a piece of interfacing big enough to cover them. Flip shirt inside out and iron interfacing to wrong side of where you'll be placing your pears. Pin the pears where you'd like them and use a fabric pencil to draw a stem and leaf on each fruit. Use an embroidery needle and embroidery floss (only 3 threads of the strand) to sew a running stitch up the center of each pear and continue along embroidering the stem and the leaf. Very nice knock-off! I like to see how you used the inspirational piece and made your own! Hi Annie, very cute, fun colors for any little girl! I am a new follower! So cute! I'm pinning this because I have a lot of scrap felt and after Halloween, I'll have a plain black shirt that will need cutening up for my daughter to wear again once she's no longer Minnie Mouse! This looks like the perfect use for it. This is darling. I want to put pears on something now. Thanks for sharing. 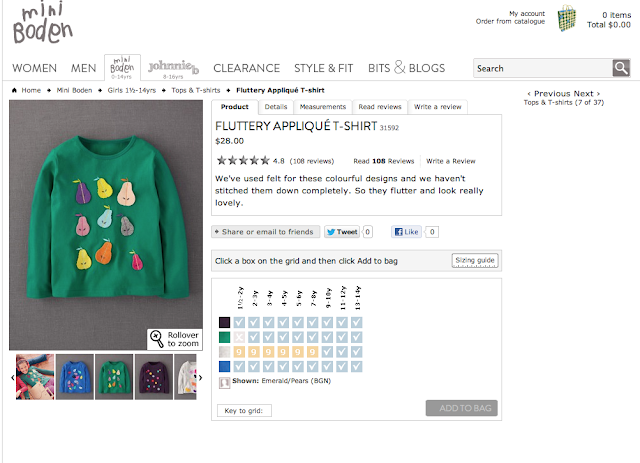 Such cute and simple applique, love it! There is always something so appealing about pears. Looks great!